Birds of New England, by Todd Telander, 2014. 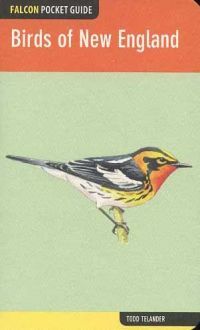 A Falcon Pocket Guide that covers the 300 species that birders are most likely to see in the six New England states. Includes succinct species accounts and fine color illustrations. 192 pp., 4 1/4" X 7."